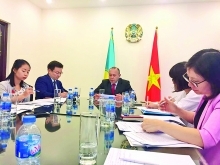 The Ministry of Agriculture and Rural Development (MARD) and the German Agency for International Cooperation (GIZ) recently signed two technical cooperation programmes on forest conservation and coastal ecology protection, reported the Sai Gon Giai Phong newspaper. 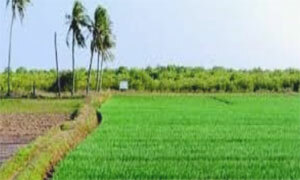 Meanwhile, phase II of the integrated coastal management programme (ICMP) aims to enhance institutional, financial and planning capacities to boost the development of the Mekong Delta region to be able to adapt to climate change. 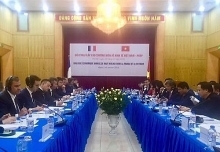 The ICMP phase II, managed with a budget of up to 8.8 million EUR (9.7 million USD), will be carried out through 2017 with the participation of GIZ and the Departments of Agriculture and Rural Development in An Giang, Bac Lieu, Ca Mau, Kien Giang and Soc Trang provinces./.